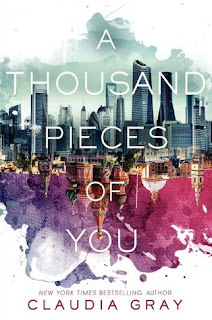 I have recently posted a book review of Ten Thousand Skies Above You, the second book in the Firebird trilogy by Claudia Gray. You can read my thoughts on it here if you would like. If you haven't yet picked up the Firebird trilogy, I would highly recommend it to you. The Firebird trilogy is centred around the concept of multiverse (aka parallel universes) - an infinite number of universes set apart from each other by sometimes one small difference and at other times, major changes. As Marguerite's parents and their two college research students, Theo and Paul, are designing a device that will allow them to travel and experience the different universes, they encounter people that are determined they fail in their endeavour and will do anything they can to stop them. Whilst I was browsing GoodReads trying to discover when the third and final book in this series would be released, I came across this short story set in the short time period between the first and second book of this trilogy. You can find it on scribd here. If you have read this series and enjoy it as much as I have, I would highly recommend you go and check this short story out! i like the idea and plot but Marguerite annoys me at times.